What is the Oracle ASH time waited column? I'm all-in with Oracle's time model. An Oracle Time-Based Analysis is one of the most powerful Oracle Database analysis methodologies available. Strangely perhaps, I'm also all-in with Oracle's performance sampling methodology, known as Active Session History or simply, ASH. What I'm NOT all-in with is combining the two... unless I for sure know exactly what the ASH time values mean. Why the paranoia? Because when an Oracle DBA doesn't know what a number truly represents, they tend to morph the numbers into their own convenient meaning. And, this is where Oracle Database tuning can quickly go down a career bending path. So, I approached verifying the ASH time_waited column with both seriousness and suspicion. What I discovered, and will partially detail in this post, is this column is valuable, unusual and can be easily misinterpreted. If you want to use ASH to its fullest, then you have got to understand the time_waited column... and that's what this post is all about. If SESSION_STATE = WAITING, then the time that the session actually spent waiting for that event (in hundredths of a second). This column is set for waits that were in progress at the time the sample was taken. Are you kidding me!? This reminds me of an advanced C Programmer's code. It's elegant, amazing and completely incomprehensible! I had to read this definition five times before I began understanding what it means! However, having some timing information combined with the ASH data could be a powerful performance analysis tool. But if I don't understand what the values truly means, I could easily come to VERY wrong conclusions... not a good career move for anyone! So, I embarked on a quest to truly understand what the time_waited values mean and also the resulting implications. Seems like a good time to do an experiment! I created two sessions. The first session simply creates a table, locks it and never unlocks it. The second session attempts to acquire the lock for up to a specific set duration. If the lock is not acquired, the SQL statement essentially times out. This is awesome, because it allows me to look at the ASH time_waited value during the attempted lock acquisition! Below is the SQL for the blocking session. I pasted this directly into SQL*Plus. It's pretty straightforward. Notice that I grabbed the session ID. This way I can verify the other session is being blocked by the above session. Below is the result of pasting the above SQL directly into SQL*Plus. So, the blocker is session 326 and is holding the lock indefinitely. Again it's pretty straightforward, but it is structured so I can easily get the details I need from ASH. Noticed I grabbed the session ID. I did this, so I can follow this session's activity in v$active_session_history. Even more important, notice I control the lock acquisition attempt time, from two seconds up to ten seconds. I start with two seconds to ensure ASH's one second collection interval time will for sure sample this session. Also, once the lock attempt times out, the loop immediate starts another longer lock acquisition attempt. Now that the sessions did their part, let's look back in time using the v$active_session_history details... and especially the time_waited column! I used my BloodHound Toolkit to report on the ASH data. In BloodHound, the bhset.sql script is used to set the parameters for all the following script reporting. For this situation, I wanted to report on my local v$active_session_history data but only within the last two minutes. This keeps the report small and will only show the results from my previous experiment run. The type of report I need is called a time-line report. I want to "watch" the locked 172 session as it progressed through its unsuccessful locking attempts. To do this I used my BloodHound "time line" script, bhBBtl.sql. 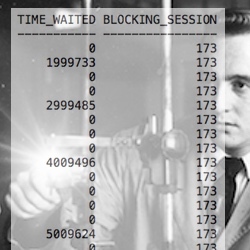 I also wanted to see the time_waited and the blocking_session columns. Plus, I also displayed the wait_time column just in case I wanted the data for another purpose. The below BloodHound script was run after session 172 attempted to lock the table multiple times and the script completed. Clearly, we can see that session 172 is waiting to acquire a table level lock because it is being blocked by session 326. Take a look at the time_waited column. Interesting, eh? Read on! There is so much to say, but I'll limit my comments and then drill into specifics in the below sections. First, ASH is collecting and we reported on every second of session 172's activity. Perfect and just what I expected to see. Second, session 172 is ALWAYS waiting when it was sampled by ASH,though is must consume a little CPU, and it was always waiting on a table level (TM) lock. Third, the blocking session is 326, which is what I expected to see. This confirms session 172 is truly waiting on my lock table script's session 326. To effectively use the ASH time_waited column, first I must know it's unit of time. 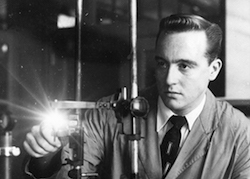 Is it seconds, centi-seconds, milliseconds, microseconds or nanoseconds? Look closely at the above output and you can probably guess the time_waited column's unit of time is microseconds. How can we know this? Look closely at the time_waited values. If you look at the time_waited column and divide by 1000000 the resulting time_waited values match the actual lock timeout values; 2s, 3s, 4s,... 10s. This is why it was so important for me to control the wait time duration. Because of this, I am able to match the numbers perfectly! Hold on a second! The 11g documentation I showed at the top of this post, clearly states the time_waited column's unit of time is centi-seconds. Is this a contradiction? Perhaps not because... my experiment above is running Oracle 12c. So I need to ensure I reference the documentation for Oracle Database 12c and not 11g. I went to the default Oracle 12c documentation page HERE and did a search for v$active_session_history which brought me THIS PAGE . But what about the Oracle 11g documentation and what about the Oracle Database 11g time_waited unit of time? Is there are contradiction? Here is the Oracle 11g documentation picture of the of the time_waited column entry that I am referencing. To verify the 11g time_waited unit of time, I need to run my experiment in an Oracle Database 11g environment. That's what I did. I ran the exact same experiment as above, but in an 11g environment and the results are shown below. You can see session 215 trying to acquire the TM lock held by session 173. Are you kidding me?! So the Oracle 11 documentation is wrong! Flat out, 100% wrong! According to the documentation, session 215 above waited 100,095 seconds! No wonder a DBA would freak out when they saw this! Unless the DBA did a controlled experiment like I did, any reference to the time_waited column could make the situation appear much worse than it actually is. But this situation gets even stranger! I decided to do some more super-fun documentation checking. I discovered in another 11.2 reference documentation HERE the time_waited column is supposed to be in microseconds. So the 11g documentation contradicts itself! I better check the Oracle 10.2 documentation and the Oracle 11.1 documentation. They both take the silent approach and do not state the unit of time... how convenient. Wow... what a stink'n mess! Because my experiment was controlled AND the waits were longer than one second, the documentation is making a little more sense. (Not the unit of time aspect!) Let me explain. If the wait is longer than one second but not finished, then the time_waited value is set to zero. However, when the wait finishes, the time_waited value is set to the actual the wait time, in microseconds. This seems to match my experimental data... perfectly. For example, in the ASH output in the previous section, look at the last set of time_waited zeros. How many are there? Each zero represents one second of wait time. Since there are nine zeros, this represents nine seconds. But what about the number after the nine zeros? Read on! What About The Number After The Zeros? Now look at the number following the set of nine zeros. The number is 10009525. This is in micro-seconds, so we're looking at a total of about 10 seconds. Is this making sense? The nine zeros represent the session in a continual 9 second wait and the final 10009525 entry represents the final 1 second for a total of 10 seconds! This is exactly how long I set session 215 to wait before it timed out! The numbers make perfect sense! You can do this for all sets of zero time_waited values! The first zero set has only 1 zero plus the final wait, for a total of 2 seconds... which was the first wait time in my loop. The third wait has 2 zeros occurrences plus the final wait, for a total of 3 seconds! ...repeat. So, everything seems to match up nicely! In the output above, find the SQL_ID ending in fw. Count the number of zero time_waited entries above it and add one. That should be seven. Below is the SQL text for fw SQL statement. We should not be surprised that the wait timeout in the above SQL is 7 seconds! This equals the six zeros plus the final one second wait for a total of 7009482 microseconds, which is about 7 seconds! Nice. Whenever you see a value in the time_waited column that is 0 while the session is waiting, we know the session is in the middle of a multi-second wait. Whenever you see a value in the time_waited column that is greater than 0 while the session is waiting, we know the session has just completed a multi-second wait and the value displayed is the final and total wait time... in microseconds for Oracle 11g and 12c. I did not perform my experiment on 10g. But there is more to this story! If you have looked at your real production data, you will notice there are many time_waited values that are less than one second, that is less than 1000000. What does that mean? How can we use this data? And what are the risks and limitations? The short answer is I will reveal the details in my next post! 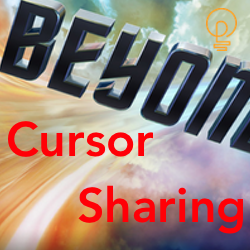 Parsing Performance: Going Beyond Cursor Sharing Using Bind Variables 5 Steps For DBAs To Learn More And Work Less What is the Oracle ASH time waited column?